One of Britain's brightest comics storms New York by way of Hollywood. TEASE THE DAY U.K. comic Russell Brand parlays his current buzz into a New York debut. Manhattan is in the midst of a British comedy invasion. Eddie Izzard sold out three shows last month. Ricky Gervais filled the WaMu Theater three times last week. And now comes Russell Brand. The 2006 comedian of the year, according to London’s Time Out, debuts in New York this week at the Blender Theatre in Gramercy. The 33-year-old caught eyes stateside with his breakthrough performance as rocker Aldous Snow in the film Forgetting Sarah Marshall, effectively stealing scenes from Jason Segal and his naughty bits. Brand is equally as charming behind the microphone. In his act, he delves into stories from his formerly wild life, discusses topics of the day and reads from the newspaper, for which he once wrote a weekly football column. Some of his best material was born of the humbling experience of sobering up. Although the subject is slowly disappearing from his act, Brand does mention the Hare Krishnas, whom he credits for helping him stay straight, during his onstage farewell. Look for even more of Brand in the coming year. He’ll reprise his Aldous Snow role in a new Judd Apatow project and costar in a Christmas flick with Adam Sandler. Sandler will also produce a film cowritten by Brand and his BBC radio partner, Matt Morgan, about a con man posing as a priest. Consider all of this to be less of an invasion than an occupation. 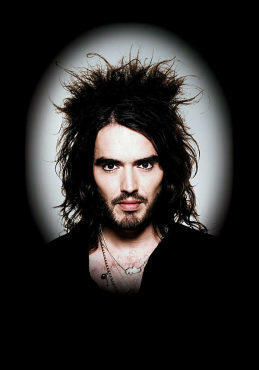 Russell Brand performs Sun 20 and Mon 21.